Music has long been a big interest and passion of mine since I was a little boy, but no other genre of music inspires me, lifts me or motivates me quite like pop music. 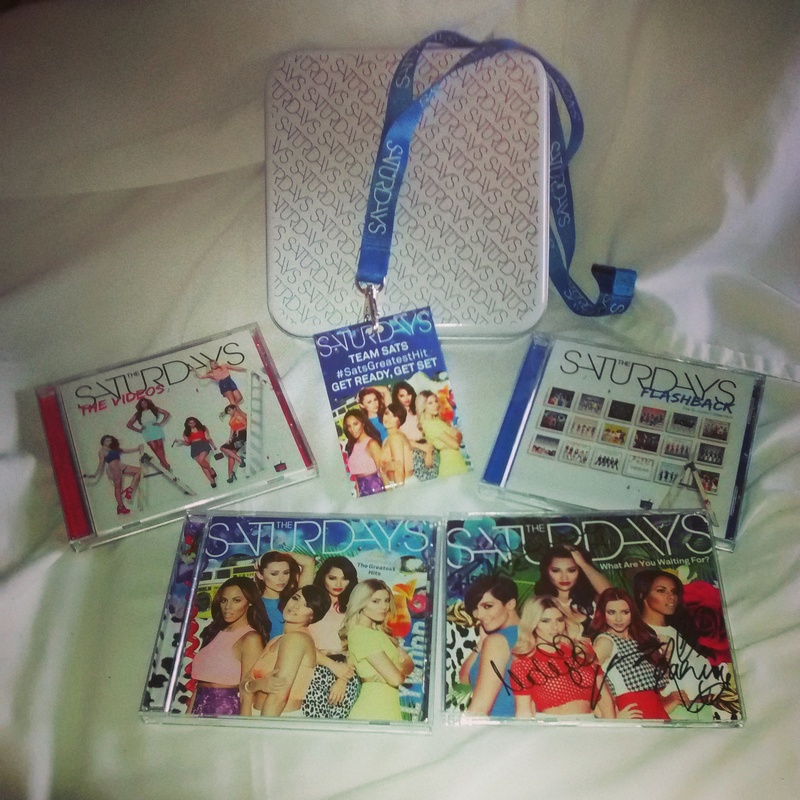 And they don’t come anymore motivating, inspiring or lifting than The Saturdays. It was through being a fan of their now sadly defunct labelmates, and another of my girl group favourites Girls Aloud, back in 2008 that I became a fan of theirs. In the spring of that year, they were launched with a premiere support slot on Girls Aloud’s UK arena tour in support of their album “Tangled Up”. The Sats (as they’re affectionately known) came along at an interesting point for pop music – when suddenly, pop music meant having to strike the fine balance between unashamedly fun and feel good whilst maintaining an air of credibility with the ‘serious’ music press, in a chart landscape that was now dominated by indie bands, singer/songwriters and blinged up rappers. See Sugababes, see 00’s era Kylie Minogue, and see Girls Aloud. Whilst the music produced by those artists was and still is great pop music, however, no one seemed to be having full on, “who-cares-what-the-Guardian-and-NME-thinks” fun in pop music anymore. Hence, from the very start of the Saturdays, when they paraded around in colour coded tights in the video to their first top 5 hit, the still deliciously bouncy “Up”, they were seen – and still are seen – as being very much an old fashioned pop band, one who would have doubtless been a hit in the late 90’s pop boom with Steps and S Club 7 (who, incidentally, gave both Frankie Bridge and Rochelle Humes from the band their start in spin off pre-teen band S Club Juniors. Aaron Renfree, one of their fellow Juniors, is now also the Sats’ choreographer). Not for them has there been harried attempts to be ‘taken seriously’ or morph into ‘good girls gone bad’ (watch where our eyes rest, Rihanna and Miley Cyrus) or to ask for an air of coolness and credibility at every turn. Then again, when one of your bandmates is a self confessed addict of Britney Spears as Mollie King is (and out of all the girls, I get the impression she loves being a Saturday the most), why would you be looking for anything else but a chance to escape, for an hour with one of their albums or with an episode of their (brilliant) E! reality series ‘Chasing the Saturdays’, to a technicolour world of poptastic joy? And, like all good pop acts, they can divert off to and explore with ease numerous other genres – take the amped up girly rock of “Forever is Over”, the thundering, Xenomania helmed floorfiller vibes of “All Fired Up” or even the R&B struts of “Notorious” and “Work” – whilst staying consistently true to their poptastic roots on the likes of “Higher”, “Ego” and last year’s “Disco Love”, all of which are pop music at its irony free, unashamed best. And that for me, especially having spent this weekend engaged with my deluxe boxset copy of their greatest hits, titled “Finest Selection”, is partly why I love them and support them as much as I have over the last 7 years. I was headed off to university by the time their 2nd album “Wordshaker” came out in the autumn of 2009, and whether I blasted their albums during long nights of essay writing, put their poster up on my wall in my halls room, or screamed my lungs out for them when they played our students union Christmas ball that year, nobody, for the first time that I can remember since before high school, questioned me or mocked me for being a fan of a straight ahead, poptastic girl group. Partly because I loved them (and still do) without any hint of irony or pretence. I met them at a meet and greet performance in Chelmsford as a surprise for my 21st birthday a year later (see picture below. I got a kiss off Frankie as well. I’ve dined out on that story a few times as you might imagine! ), and it solidified my love of them in more ways than one. Because there’s also an emotional investment there. Anyone who’s seen one of their TV shows or watched their weekly ‘Flip cam’ videos on their website will know how close knit they are as a band – unusual for a girl group you may think, but consider this. Three of their number have had children and got married in the last three years whilst still firing on all cylinders in the charts. This is certainly not something Spice Girls or All Saints could have professed at their height. And in that sense, they feel like a surrogate family in a way, one you feel pleasantly protective and proud of. Which is why it was all the more amazing last year, after three near misses, to see them finally get their long awaited and well deserved first UK number 1 single with “What About Us”. It felt like I’d been a part of that journey as much as they had. As to what the future may hold now they are celebrating seven glorious years thus far in a business as fickle as the music industry, it is anyone’s guess. But one thing is true for me that’s been true since 2008: with The Saturdays, every day of the week, no matter how dull, will always feel like a Saturday. “Finest Selection: The Greatest Hits” is out tomorrow on Polydor. The Saturdays are also on their Greatest Hits tour of the UK from September 7th, visit www.thesaturdays.co.uk for tickets and info.